So you found a print you love, but searching for a frame and figuring out what size you need makes you a little bonkers, right? 1. Decide on whether or not the art will look better with a mat. If there's no mat your frame will simply be the size of your picture. 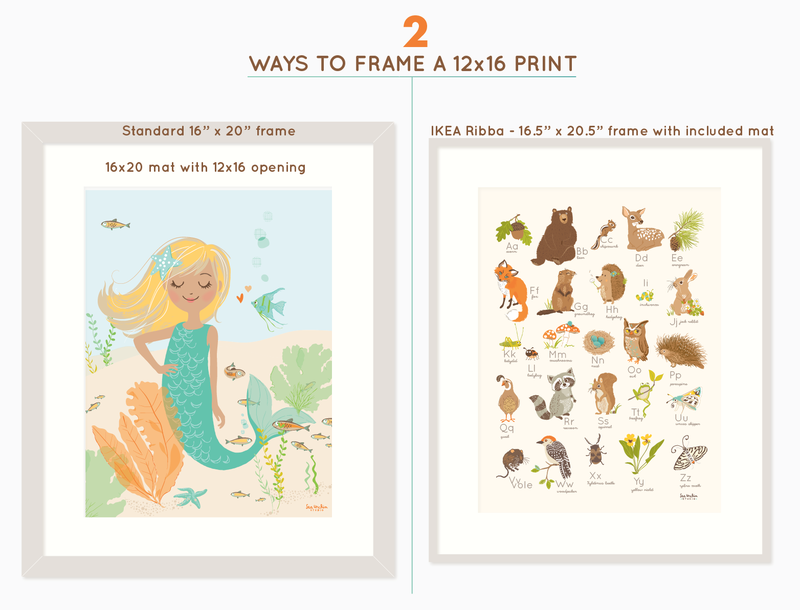 The good news is, we specifically design all our prints with frame size in mind. If you live close to a Michael's or an IKEA, you're set. If not, there are some good online options for frames as well - we find nice, inexpensive choices on Amazon, and AI Friedman, Aaron Brothers and Fast Frames. If you want something totally custom (that won't break the bank), arttoframes.com is a great place to look. Hi, I was wondering what the dimensions are on your 1-2-3 cards so i can buy frames.